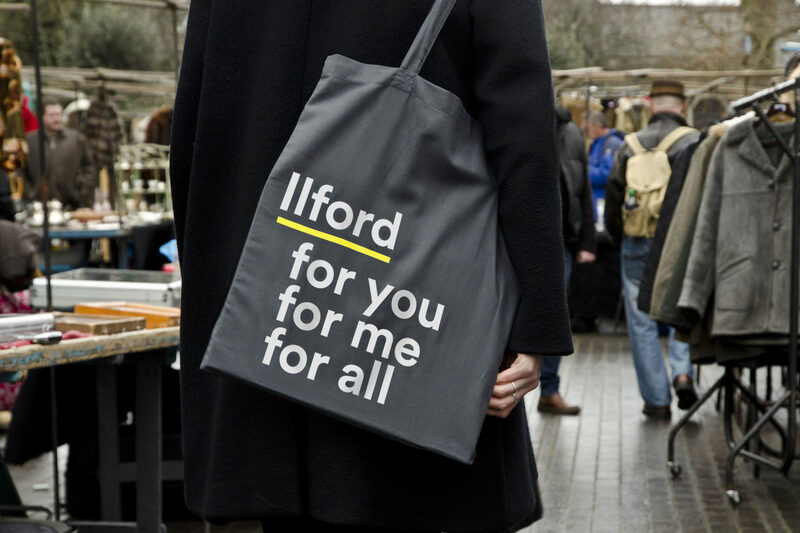 Ilford is a vibrant and diverse London town on the brink of great infrastructure change. The council had a vision to create a place their residents could be proud of. We helped them turn this into a manifesto of promises they could deliver on, captured in the strapline: Ilford for you, for me, for all. 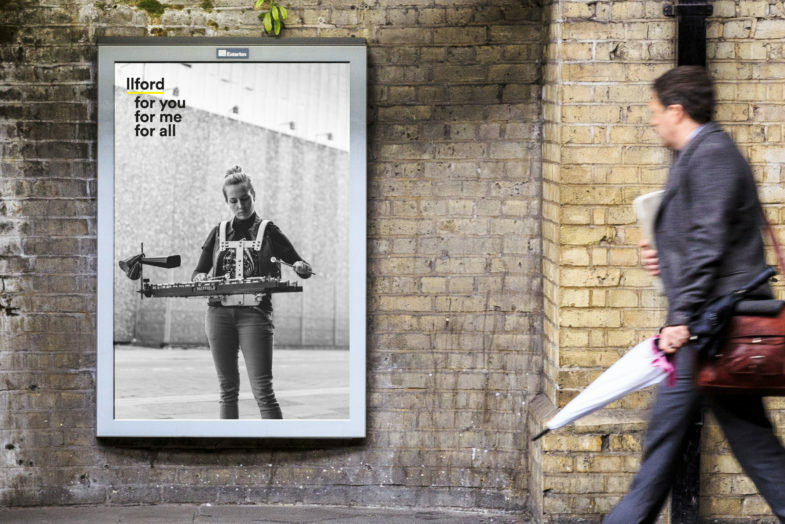 Leading up to the launch of Crossrail, Ilford was making a pledge to its citizens about the regeneration taking place in this London town. 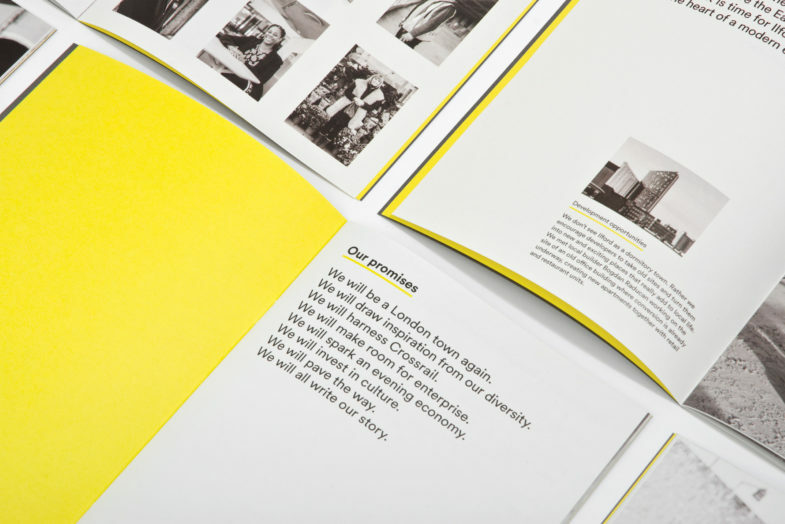 dn&co collaborated with the London Borough of Redbridge to create a manifesto and campaign to communicate Ilford’s bright future. 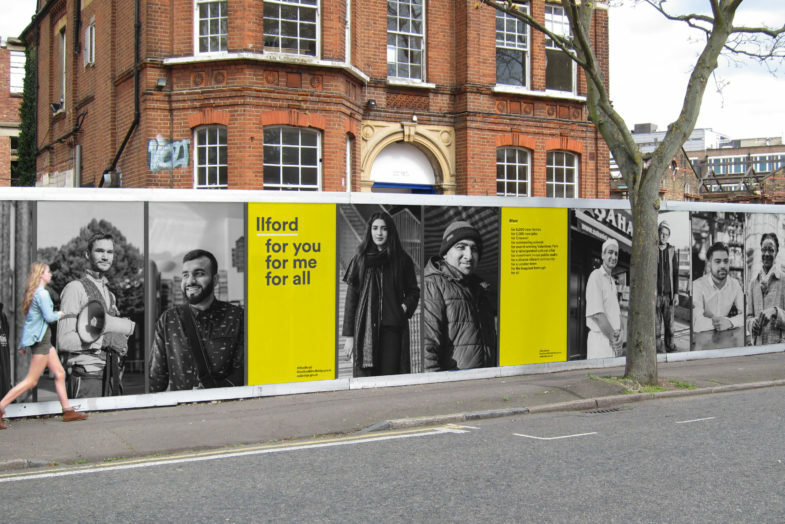 We scoured the streets of Ilford to meet many of the district’s fascinating residents. 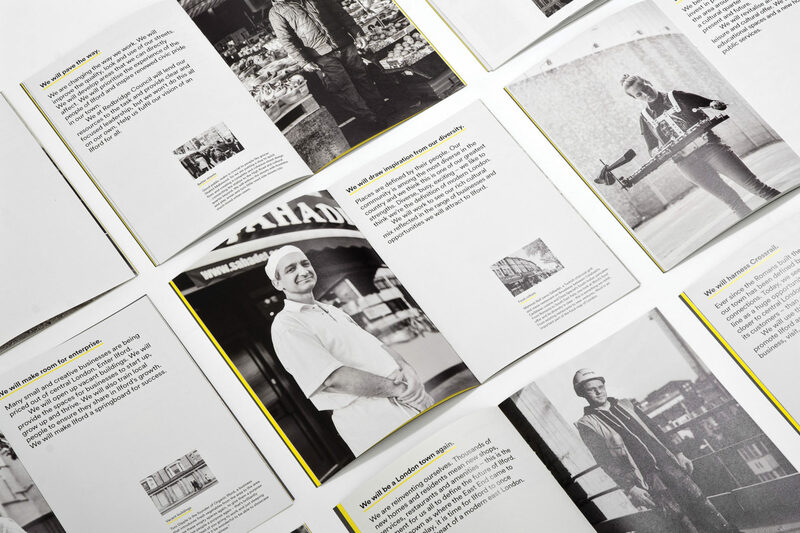 Each of the eight chapters of the manifesto is complemented by a personal story, from an organic food entrepreneur to the first British Muslim to travel to space. 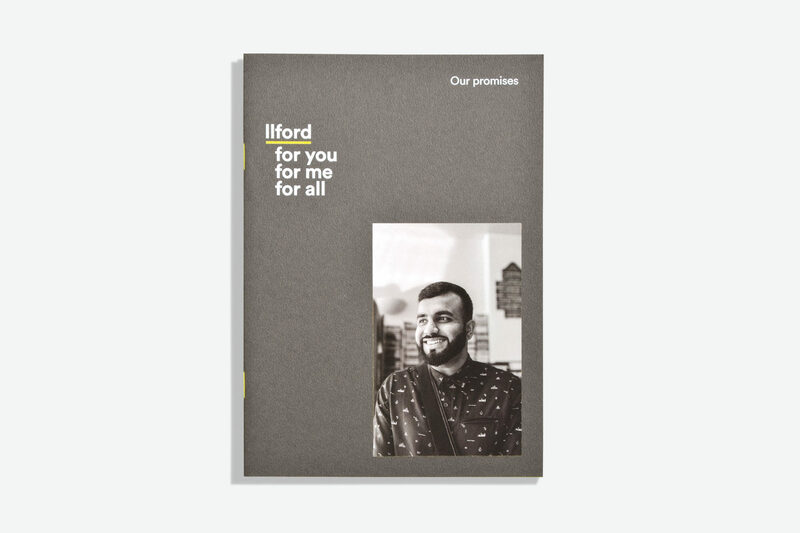 Intimate black and white photography, a nod to the Ilford film that was manufactured here for decades, captures the many faces of Ilford to create a truly human-centric campaign.